In 1969 Mr. Hurley became acquainted with drinking water problems through his association with the Du Pont family, (chemical company owners). Jason Hurley established the fact that clean water was essential to a healthy body. During the next 3 years Mr. Hurley compiled research and assembled the original Hurley Chicago Company. In 1972 he introduced the company to the public via direct sales. In 1979, Mr. Hurley sold his prosperous business to the current owner and president, Gus Losos. Hurley Chicago Company was incorporated in 1979 and the executive office was moved from Chicago to Worth, Illinois. Mr. Hurley remained a consultant to the Company until his death in 1980. Product expansion started in April 1982 with the introduction of new Hurley products: an icemaker filter, and in-line sediment filters. Although the Town & Country was fully lined on the interior, growing concerns over the use of aluminum prompted the company to begin development of a stainless steel model. Along with the raw material changes, other changes were made to improve the performance. The new model, the Hurley II was made available in 1987. By 1989, sales of the Town & Country were dominated by those of the Hurley II and production of the Town & Country was discontinued. The Hurley Novus, an under-the-sink version of the Hurley II was introduced in June 1990.The Hurley III comes with an added media for lead reduction. These units have been certified against industry standards set under National Sanitation Foundation International (NSF) Standard 53 for lead. Testing was completed done by Spectrum Labs of St. Paul, Minnesota. During the 1980’s, distributors were established in Japan, Malaysia and Singapore. The Hurley "Protector", an alternative to reverse osmosis, was launched in April, 1998. In addition to heavy metal and chemical reduction, the "Protector" can also remove bacteria, cysts and sediments. Most orders are shipped within twenty-four hours of receipt. Orders for more than 1,000 units to be shipped at one time may require a one to two-week lead time until a regular pattern of orders has been established. The original Town & Country was included in studies by consumer by organizations including Consumer's Digest & the United Stated Environmental Protection Agency. The unit received top ratings in all instances. The Hurley II was also reviewed by Consumer's Digest and other consumer-related publications, again receiving excellent comments. In Japan, the Hurley II outperforms all Japanese filters made. The company is financially strong and solvent and was proud to have shown a profit in its very first year of incorporation. The bank listed below may be contacted for reference. Hurley Chicago Co., Inc. is also listed with Dun and Bradstreet and the Better Business Bureau if additional reference is required. Hurley Chicago Co., Inc. strives to maintain an unblemished record for marketing quality products whose prices are competitive when evaluated over the life of the product. There has never been any litigation as a result of non-performance. 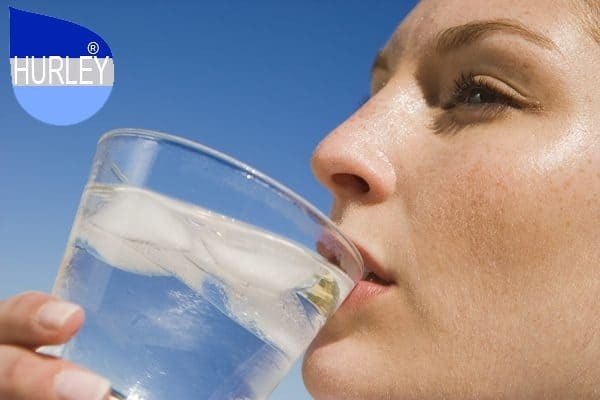 Promotional Guidelines established by the Water Quality Association are strictly followed. All claims made by the company regarding its products can be sustained with independent laboratory tests and/or documented research. 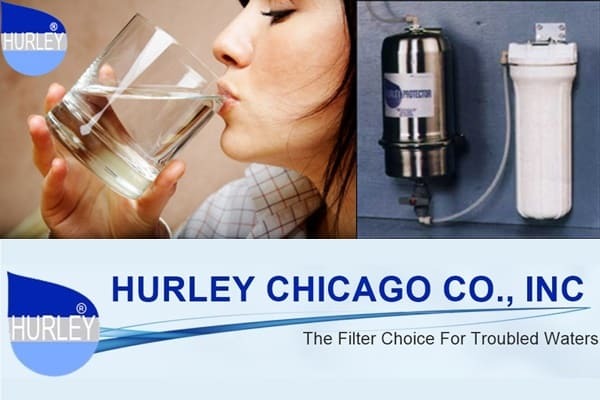 it is noteworthy that of the nine (9) water filter companies that launched the water filter industry in the early 1970's, Hurley is the only survivor.